According to Sarah from my wedding blog - St Lucia’s beaches are world-renowned. And you could definitely spend an entire honeymoon lounging in the white sand, drinking refreshing cocktails and perfecting your tans. You and your honey could even go for a dip in the ocean, try your hand at snorkeling, or see if you can actually balance on a paddleboard. 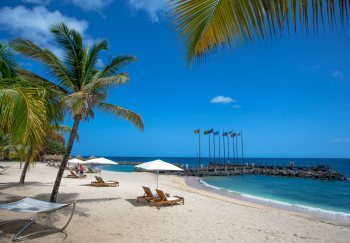 But despite all this beauty and fun, it would be a waste of a vacation to never leave the beach, because St. Lucia has a unique culture, lush forests, and vibrant city for exploring! Venture out to amazing restaurants with delicious Creole cuisine, savoring food as perfect as the sunset view. 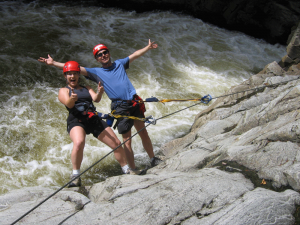 Climb mountains and zip line through the trees. Participate in colorful cultural festivals and dance in the street. Tour historic plantations and military installations. Learn all about rum during tastings at local distilleries. 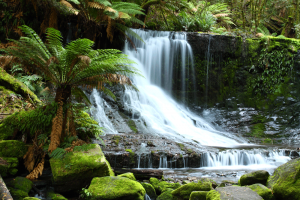 Explore waterfalls in a botanical garden. Commune with wildlife at one of the many nature sanctuaries and preserves. Lose yourself in marketplaces and shop for one-of-a-kind keepsakes. Hike at least one of the island’s abundant trails. Because, in Saint Lucia, there are lots to entertain you beyond the beach! Make sure to plan a balanced itinerary between soaking up the rays (because, really, if you come back from your honeymoon without a tan, that would just be a shame) and experiencing all that makes St Lucia one of the most vibrant and romantic honeymoon destinations to visit. Call Denise Bonds today to plan your destination wedding and/or honeymoon in a romantic Caribbean Island – St Lucia.